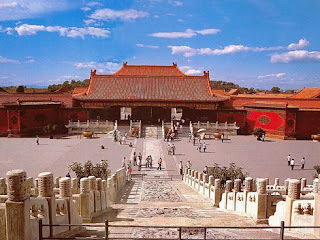 Ancient Palace Museum which used to be called the Forbidden City is the imperial palace of the dynasties of Ming and Qing, and is the largest group of ancient buildings and the most intact in China today. Building area of ​​155 000 m square of the Forbidden City, is a rectangular-shaped city walls, on the corner there is a loft-style empak beautiful, surrounded by a protective river 52 m wide, forming a tightly-kept fortress city with beautiful buildings are magnificent, are the essence of Chinese art of building age old. 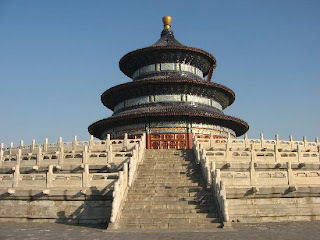 Tiantan or the Temple of Heaven is the most important shrines of the temples of heaven, earth, sun and moon in Beijing, is the largest ancient religious buildings that still exist in China and the world today. Tiantan Shrine was built in 1420 as a place of imperial dynasties of Ming and Qing pray to the sky and beg harvest, prayer ceremony is held each spring to harvest ask, to beg in the summer rain, and in winter is a prayer to heaven. Tiantan Temple of the work of a very beautiful building and was second to none in the world both in terms of structure, mechanics and aesthetics. 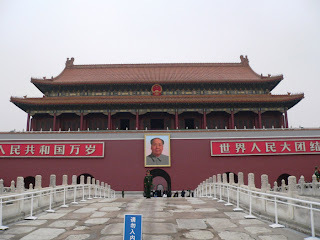 Tiantan Shrine is now a public park in Beijing distinctively. 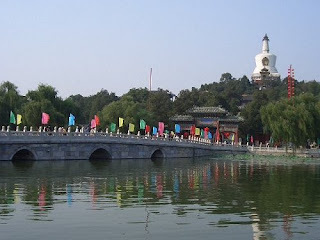 Beihai Park is located in the downtown district of Beijing was the royal gardens in ancient China. This 71 ha area of ​​the park, a park outside the palace in the capital of dynasties Liao, Jin and Yuan, and park royal dynasties of Ming and Qing. Beihai park is used as a public park in 1925 is one of the most ancient royal park, the most intact and most representative in China today. Unique spatial fantastic. Tian An Men gate was built in 1417 is the front gate of the royal dynasties of Ming and Qing, originally called the Gate of Cheng Tian Men, later destroyed twice burned, was rebuilt in 1651 and renamed Tian An Men. Tian An Men are referred to as the "Door of the State" is an important venue for the ceremony at the time of the dynasties of Ming and Qing. Tian An Men is the essence of ancient Chinese buildings, and building the best artwork which manifests the Chinese people's intelligence. Yihe garden (Summer Garden) is the ancient garden of the largest and best preserved intact in China today. Yihe garden is located in Haidian District, Beijing City, area 290 ha, 20 km further from Tian An Men. Yihe garden composed of Mountain Wanshou and Kunming Lake, the scenery is very beautiful and very grand buildings. In the park there are over 3,000 booths in various forms, is divided into the complex spatial politics, life and sightseeing. Yihe garden as the most famous classical gardens in the world very compatible spatial and extremely beautiful landscape, reflecting the very high standard of Chinese landscaping. Badaling Great Wall along over 6,000 km, is the symbol of the Chinese nation and one of the largest buildings in the world. Badaling Great Wall is located in Yanqing County is part of a large wall, a large defense project in ancient China. Badaling Great Wall was built in 1505 it is a sector of the Ming Dynasty Great Wall is the best preserved, is also the essence of the Great Wall of the Ming Dynasty. "No knight Before Arriving at the Great Wall," as the saying goes in China. The Great Wall is a definite tourist attraction visited by domestic and foreign tourists on their way in Beijing. 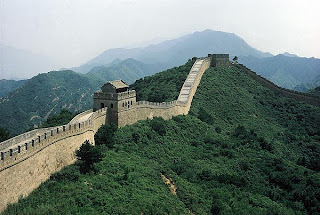 So far many of the leading figures of the world have visited the Badaling Great Wall. 13 Tomb of the Ming Dynasty (Shisanling), which is the mausoleum of 13 emperors of the Ming Dynasty is located at the foot of Yanshan Mountain, Changping District, Beijing City, the extent of about 120 square km. 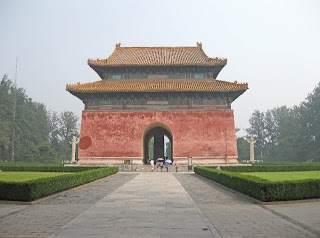 In the period of 230 years since the construction of Changling Tomb (tahun1409) by Emperor Yongle, the Ming Dynasty to Emperor dimakamkannya Chengzhen, emperor of the Ming Dynasty, the emperor's tomb had been built 13 very majestic, grave 7 concubines and eunuchs a tomb. Here was buried 13 emperors, 23 empress, crown prince 2, 30 more concubines and eunuchs. Tomb complex built between 1409 and 1644 it was 300 to 500 years old historic. Vast tomb complex is 40 km square, is the tomb of emperor building the world's largest and most widely emperor and empress are buried. Shisanling as part of the Chinese culture that blends the old historic Degnan natural landscape around it, is a tourist boyek beautiful scenery and thick cultural connotations.